ELWOOD: Charles C. “Charlie” Wardwell, 83 of rural Elwood was called to his Heavenly Home on Wednesday, Oct. 3, 2018 after a brief illness. Charles was born on March 26, 1935 in Elwood and was the son Harold and Gertrude (Bagley) Wardwell. On October 31, 1953 he married Elizabeth Carol (Shaw) Wardwell who preceded him in death on April 20, 2017. Charles retired from AT&T after 35 years of service after which he owned and operated Wardwell Communications in Elwood for five years. Charles was a loving and caring father and grandfather and always enjoyed spending time with his family. 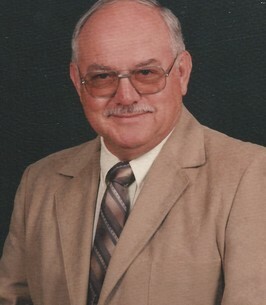 Because of his love and devotion to his Lord and Savior Jesus Christ he was an active member of the Harmony Christian Church where he and Carol would take communion to the shut-ins and he also served on the mission’s board of the church. Also he had been a 25 member of the Rigdon Lions Club. Left to cherish his memory is his children, Wendy (David) Montgomery, Alexandria, Michael Wardwell, Elwood and Chris (Rebekah) Wardwell , Orlando, FL; his sister, Corky Hogan. Also surviving are his grandchildren, Clint (Alison Massengill) Montgomery, Victoria (Joe) Williams and Hope Wardwell; his great-grandchildren, Braylen and Aaron Montgomery. He was preceded in death by his parents, his wife, Carol, a son, David Wardwell, brothers, Robert Wardwell, Howard Wardwell, and sisters, Charlotte Brown, Donna Culbert, Janie Hess, Dora Fields. A celebration of Charles’s life will be held on Saturday, Oct. 13, 2018 at 1:00 p.m. in the Harmony Christian Church, 9043 W 1800 N, Elwood with Rev, Ron Meyers as Celebrant. Interment of his cremains will follow in Elwood City Cemetery. The Whetsel family is honored to celebrate the life of Charles C Wardwell with his family and community. To send flowers to the family of Charles C "Charlie" Wardwell, please visit our Heartfelt Sympathies Store.